Burnley moved out of the bottom 3 with a 1-0 win over Brighton. Their place was occupied by Huddersfield who were defeated by Arsenal. An electric gameweek 16 in the premier league saw Manchester City finally being dethroned from their top spot with Liverpool moving ahead of them for the first time this season. In a masterclass delivered by Chelsea, City was condemned to their first defeat of the season to leave them on 45 points, 1 behind Liverpool who are now the only undefeated side in England’s premier club tournament. It was a week that bore heavy consequences not only at the top but also the bottom of the table. While Chelsea blew open the title race with their victory, Burnley moved out of the bottom three with a vital win against Brighton. We take a look at all the key premier league gameweek 16 results and bring you the decisive moments from the moment. Headlining this gameweek was the heavyweight clash between Chelsea and Manchester City. 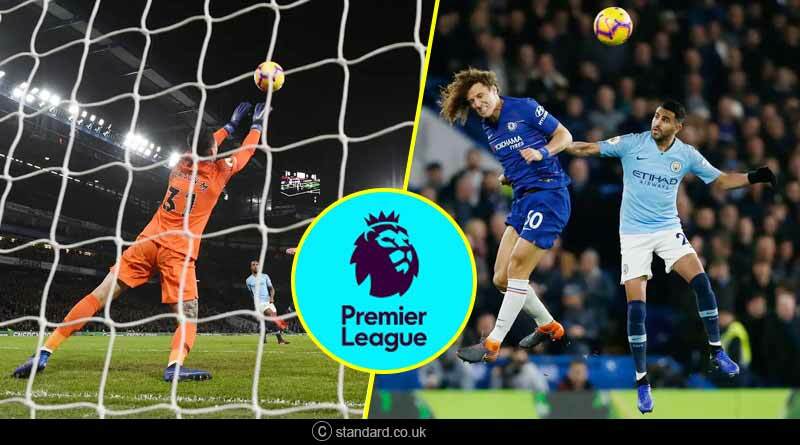 Heavily billed as a clash that City would win easily especially after Chelsea’s slump in form, the London giants showed their class and grace to put in a subliminal effort that negated City’s attacking threat and saw them romp to an emphatic victory. Chelsea’s win was the end product of immense teamwork hardwork, grit and determination. Showing outstanding organisation throughout the 90 minutes, Chelsea’s back-line put in without a doubt their best performance to restrain City’s pacey forwards. It was a performance that spoke volumes about Chelsea and their transformation under Sarri. 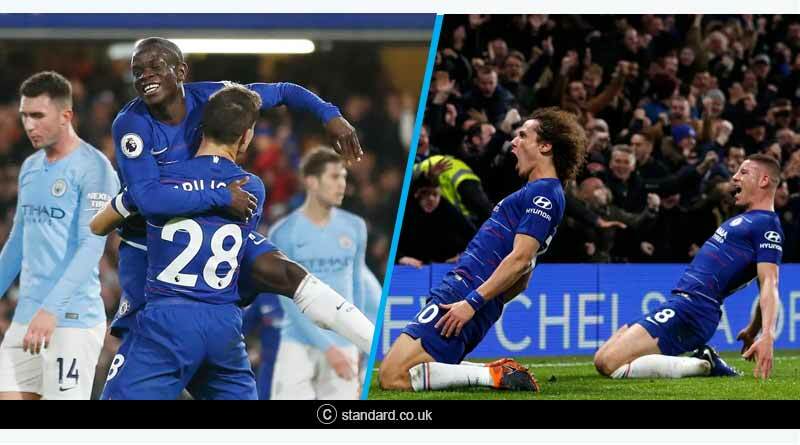 Playing their natural game, Chelsea pressed with intensity to frustrate City and push them out of the game before going onto counter in lightening quick pace just before the first half ended to take a 1-0 lead through a crushing shot by Kante. Buoyed by their lead, Chelsea started on the front foot in the second 45 against a side who were said to go through the season unbeaten. Schooling City in their own game, Chelsea forced City to change their strategy, something that played into the host’s hands. A thumping header by Luiz found the back of City’s net to give Chelsea a 2-0 lead as Stamford Bridge erupted in joyous celebrations. The result benefitted Liverpool the most who had defeated Bournemouth in the first match of the gameweek. It was a scrumptious performance by Salah, who in his hattrick showed glimpses of last season’s form. He was confident infront of goal, dribbling past defenders at will to take his side to a 4-0 lead and stamp Liverpool’s authority as title challengers for this season. In other notable premier league gameweek 16 results, Tottenham and Arsenal both maintained their top 5 status with wins. While it was a relatively comfortable 2-0 win for Tottenham against Leicester even without their star striker Kane, Arsenal were made to slug it out against a resolute Huddersfield unit. In what was an otherwise shambolic performance, one that saw Arsenal being booked thrice was diving, Torreira’s late bicycle kick helped save the blushes for Arsenal, breaking Huddersfield’s hearts as they fell back into the relegation zone. At the bottom, Burnley finally got a win and more importantly a clean sheet against Brighton to move above Huddersfield into 17th place. Cardiff won an important clash against fellow relegation rivals Southampton to keep them in the bottom three along with Fulham.